MT750 automatically pairs the working device. It simultaneously connects to up to 4 devices, and easily switches between them. It simplifies complicated cross-platform maneuvers and meets multi-tasking requirements. The high-performance laser engine enables you to use MT750 on virtually any surface. Enjoy a high-speed response and unrivaled accuracy. Precise down to the last pixel: with the adjustable DPI sensor, accuracy is no longer left to chance. 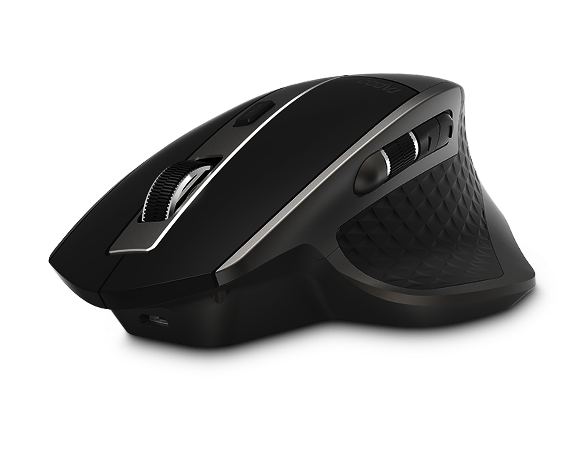 Adjustable from 600 DPI to 3200 DPI, you can adapt it to match your preference. Thanks to the built-in eco-friendly lithium battery, a full charge can last up to 30 days. It eliminates the need for replacing batteries.